This figurine of a Highland stag is just beautiful. Rustic and charming, this will make a great gift idea for anyone that loves animals. Perfect for displaying on a shelf, mantelpiece or in the window. 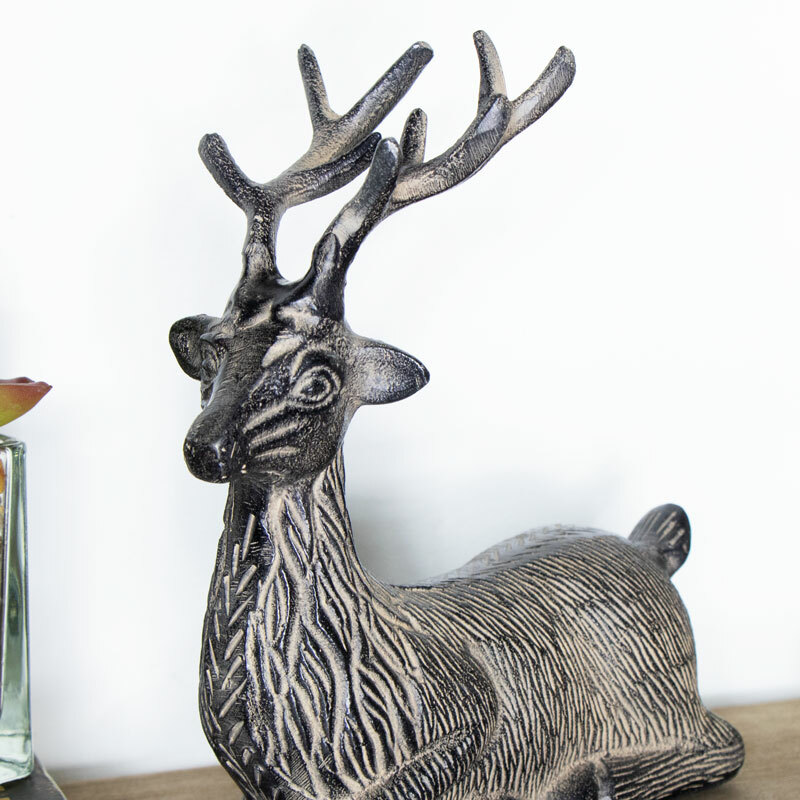 Stunning and majestic, with rustic carved detailing that captures his features beautifully. Display on it's own or with some of our other stag and reindeer figurines for a great effect. Made from metal and finished in a rustic brown with a distressed effect to give the appearance of age. 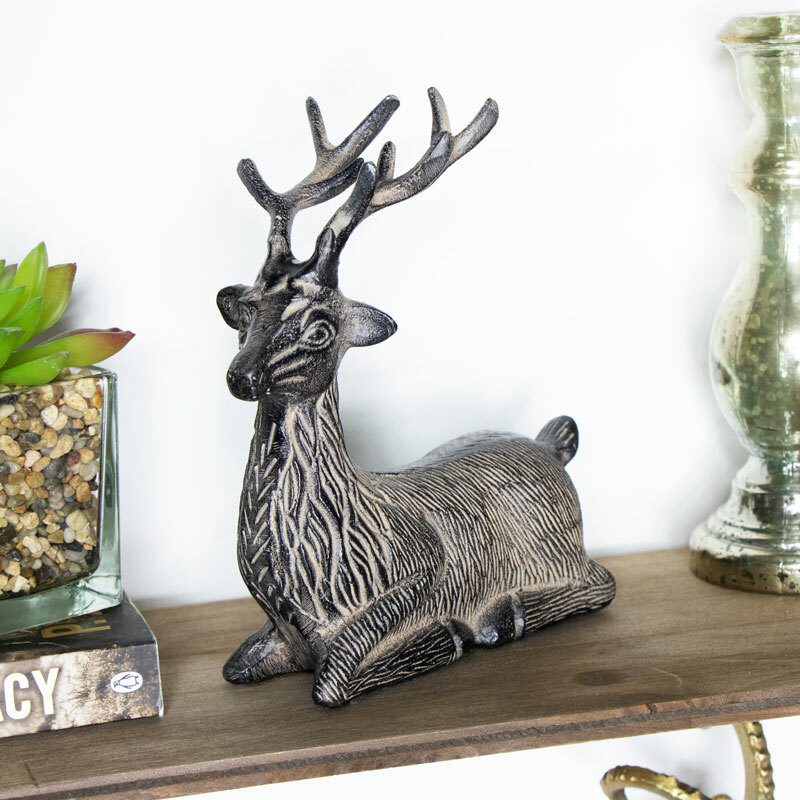 Our selection of stags and reindeer are just perfect for choosing just the right gift, wall mounted and freestanding ornaments that will help to create the perfect look.